There are long delays on the A14 in Cambridgeshire this afternoon after a crash involving two lorries. 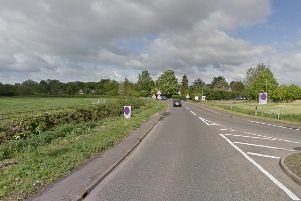 The road is blocked and queueing traffic on the A14 westbound carriageway between Cambridge Road near Fen Drayton and J26 for the A1096 near Fenstanton. An eyewitness said at least one of the vehicle is jackknifed across the two lanes. The crash took place at around 11.30am. Thankfully nobody has been seriously injured in the collision. A Highways Agency spokesman confirmed fuel had also been spilt on the carriageway, which is likely to be blocked for some time.